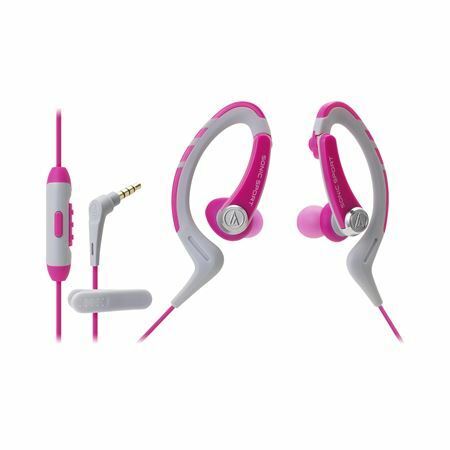 Order your Audio Technica ATH-SPORT1IS SonicSport In-ear Headphones from AMS and enjoy Fast & Free Shipping. Get the Best Deal with our Lowest Price Guarantee & Great Customer Service! 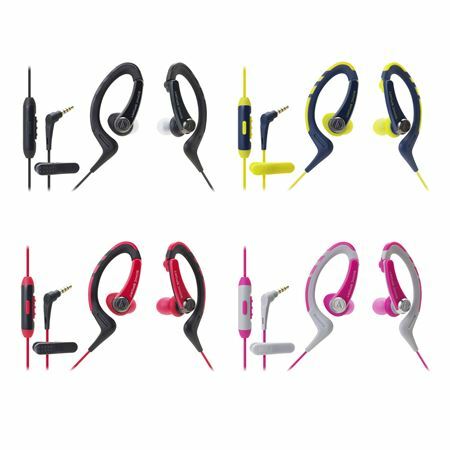 Designed with smartphone capabilities, the ATH-SPORT1iS SonicSport in-ear sports headphones are made especially for active use. 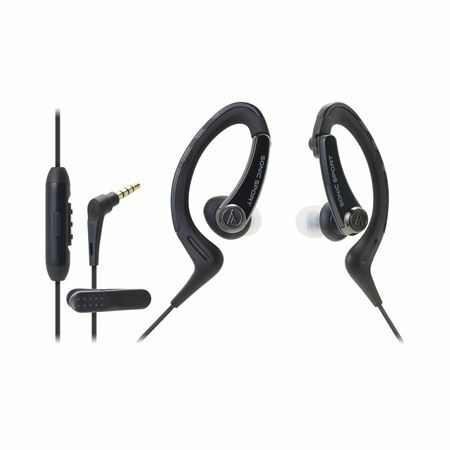 A universal in-line mic and controls allow you to answer/end calls, control music and adjust volume at the touch of a button. 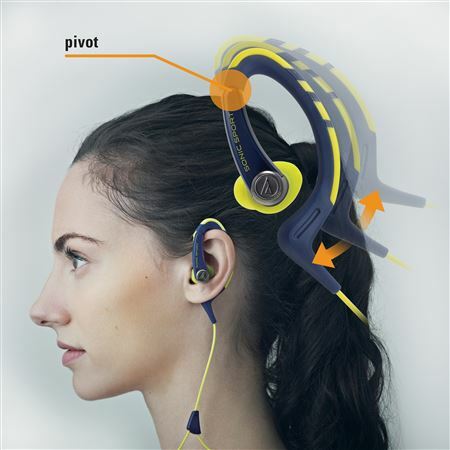 Like the ATH-SPORT1, the hinged ear hooks pivot to provide a custom fit for secure, long-lasting comfort. Featuring high-quality drivers for clear, detailed and dynamic sound, the headphones come with both standard silicone eartips (XS/S/M/L) for outstanding sound isolation and ridged eartips (S/M/L) to allow some ambient noise for safer use outdoors, making the ATH-SPORT1iS ideal headphones for running. 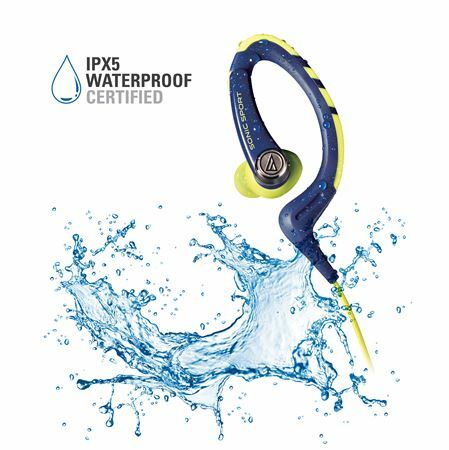 The sport headphones are IPX5 Waterproof Certified, which allows them to be washed after use. 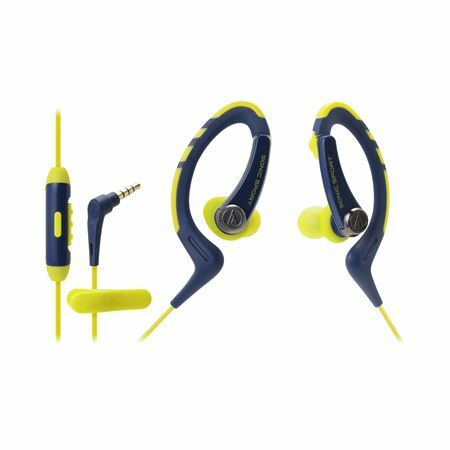 The 3.9 ft. (1.2 m) cable comes with a clip to keep the cable conveniently fastened to clothing during workouts and other active use.